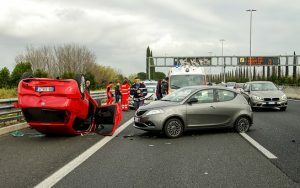 Car accidents can be serious, and they happen when we least expect them. No one ever thinks a car accident will happen to them, but it is so important to always drive attentively and avoid distractions while on the road. The Worcester Police Department reported a hit-and-run accident at the 300 Block Grove Street. This accident was reported at around 4 in the afternoon on May 21. While the cause of this accident is not known at this time, a hit-and-run accident is very serious. This is a criminal act that shows reckless and careless behavior. It is important for every driver to remember they have a duty of care to the other drivers around them. We urge everyone to drive safely and remember to value the lives of the others around them. But, when these accidents do happen, victims deserve compensation and help. At the Law Offices of Jeffrey S. Glassman, we know how serious a car accident can be. We want the road in our community to be safe and to help victims when they are not. Everyone deserves to feel safe when they are driving.